Last week was Rockin at Hollywood Casino Aurora! A Big Thank You to everyone there. It was great to see everyone! This week we are heading south to the “Stampede Saloon” in Manteno. This is a great place to see the band and the wait staff and bartenders are awesome! Plus…We will be recording this show so come on out and get your voices heard. There is No Cover and the drink prices are very reasonable. This is going to be a party! Hope to see you there! "Great people! some of the best bands around! always a fun place to hangout!" "Good drinks,friendly staff, and awesome live bands." "Love this place, great, friendly outgoing bartenders and the best bands!" 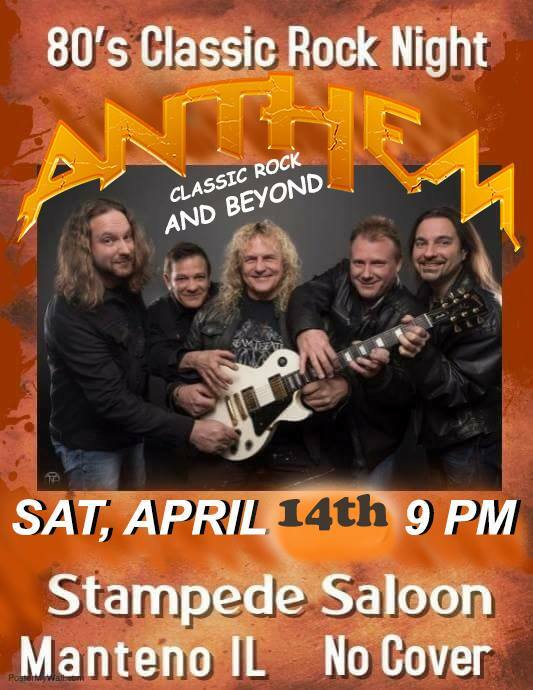 Stampede Saloon is a great place to go see the band. There is parking in front as well as a parking on the street. Hope to see ya there!! Copyright © *2017* *AndBeyondmusic LLC*, All rights reserved.